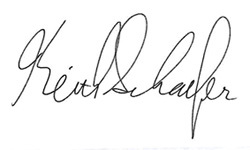 Hi, my name is Keith Schaefer. I run my own trading service – the Oil & Gas Investments Bulletin. It’s unlike any other trading service and investment newsletter you’ve probably ever come across. That’s because OGIB is my Personal Investment Portfolio – the very stocks that I buy and sell using my own money. Subscribers know how much I believe in a company by how much of my own money I put into their stock. I invest my own hard earned money in all my investment ideas—they’re not “beta” or “paper” trades. 1. Be flexible. Look at the ENTIRE global energy patch, not just producers and drillers and frackers. In 2012 and 2015 I made a lot of money owning refinery stocks. In 2013 and 2014 I made an incredible amount of money—the most in my history—on US listed ethanol stocks, particularly Green Plains and Pacific Ethanol. 2. Don’t be afraid to have a big cash position for a long time if nothing makes sense. 3. Sell your mistakes quickly. Sometimes you get whipsawed out of a stock, but that’s life. That means subscribers can use – for their own portfolios – the same research I use to make my investment decisions. I talk to the management teams of the companies I’m invested in. I talk to the analysts at brokerage firms (the sell side). I talk to fund managers (the buy side). I talk to technical consultants, and other successful investors to find out everything I can about a management team and their assets. I sometimes fly to their offices to meet them, or have dinner with them while they’re in town. Subscribers benefit greatly from me being closer to the source. I can provide unbiased color on events—both direct to the stocks and to a more macro view of what’s happening in the energy patch. And yet, at the end of the day, I know that almost no one has the time, or energy, to read through the mountains of hard energy research I do. That research includes paying for services I know add value to my subscribers. I pay to have all the US energy research delivered to me each day. I pay US$30,000 annually for an exclusive, institutional-level research group. This service has already paid huge dividends to me and my subscribers—their ideas account for close to half my gains in some years. I talk directly to the head of research twice a week. They only keep 30 clients, and I’m one of them. But even with all this profitable information, I have to make it so plain and simple – my job is distilling all my research down into key, actionable insights… that help my subscribers make money. In other words, I still do all the legwork. And that makes it easy for my subscribers to be able to profit from my research and analysis. The last, most important thing I do for my investors—I make it all very simple. My mantra is “No Words Over 9 Letters”. I write in very simple English. I take the time to explain all the technical terms. I explain how The Market works, both in a textbook way and in a Street savvy way. Regular issues of the Oil & Gas Investments Bulletin: You’ll get full updates on the positions in my personal portfolio — what I’m buying, what I’m selling, and why. In other words, every time I make a move, I’ll show you exactly how to get into position for profits. Buy / Sell Alerts: You’ll get these alerts sent directly to your email inbox. That way, you’ll have the opportunity to take quick action on your trades. Interim Bulletins: I’ll send you these updates whenever I have a time-sensitive insight to share that could impact an existing position, or set the stages for a new position. 24/7 Members-Only Web Access: You’ll get a dedicated password for accessing the OGIB portfolio, along with every weekly issue, Buy / Sell Alert, Interim Bulletin, Special Report, and Guest Commentary I’ve ever published. Get closer to the source with my service. Get access to proven money-making institutional research, presented in simple English. Take a few seconds to sign up below, and get risk-free access to my service, right away. P.S. Remember, this 100% RISK-FREE offer to get OGIB for a full month is ONLY available on this web page. That’s 30 days to test drive my service. Please see Terms and Services Provided for more subscription details. I have a substantial position in an OGIB position and own it because you made me aware of this unbelievable opportunity. $400 dollars for your subscription has netted $50K in the last 10 months. We have made some serious dollars following Keith, and look forward to more. Thank you. Best Regards. Hi Keith, I want to Thank You Very Much for showing us your Personal Portfolio! You show us what you bought and sold and at what price. More importantly you show us How Many Shares, NO newsletter I know show this! You put your money where your mouth is… Thank You Very Much, and Very Much Appreciated. Hi Keith, as a new subscriber and long time investor, I find your style refreshing and honest. Thank you… I have already paid off my subscription many times over! Keith, I subscribed to your newsletter in February this year and I must say I really enjoy reading your reports and tips – you have really educated me as I am a relative novice when its comes to investing. I am very pleased with your service so far. I find your writing style easy to read and understand and I value the amount of research you do to arrive at your conclusions and recommendations. Please renew my subscription. Tell Keith that this is the most well-researched, accurate newsletter I have ever received. [His top 2 picks] have paid for my subscription until eternity — or hell freezes over. Thank you.